History is full of games that boasted fantastic concepts, but failed to deliver when all of its brilliant ideas were put into practice. Some of the most creative games are also some of the absolute worst, as whoever came up with it simply lacked the funds, time or talent to see it through. You'll be thrilled to know that MindJack does nothing to buck the trend. MindJack presents itself as a single-player game that can, at any moment, turn into a multiplayer game. 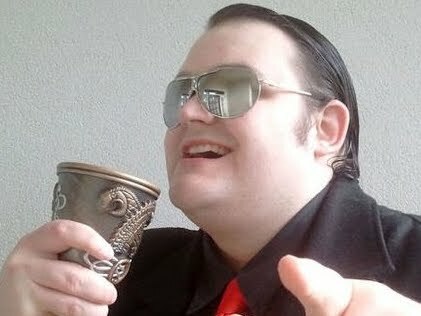 The general premise is that one person acts as the host, and the host is attempting to complete the game as you would with any regular single-player title. Other players can "hack" into that game at any time, either as an ally or an enemy, and influence the way the game is played. That's MindJack, in theory. 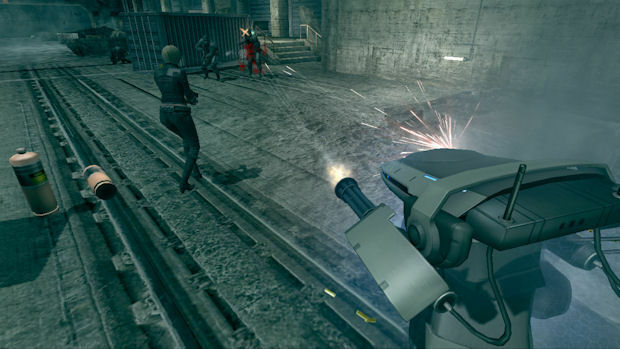 Similar to the Agents in the Matrix series, players can take over the bodies of soldiers, civilians and even machines. It's an undoubtedly clever scheme on paper. The final product, however, is little more than a half-finished idea, injected into the shell of a lukewarm shooter and rendered randomly unplayable due to a complete lack of balance. Here's the deal -- there is no incentive for the host to play this game. 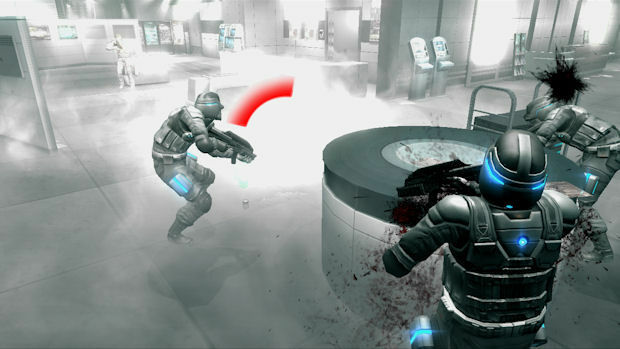 In any third-person-shooter, the player character is usually attacked by an army of enemies. That's usually fine, of course, because the player is capable of human thought and is able to strategize, improvise and ultimately outmaneuver an AI that has been tuned to player enjoyment. 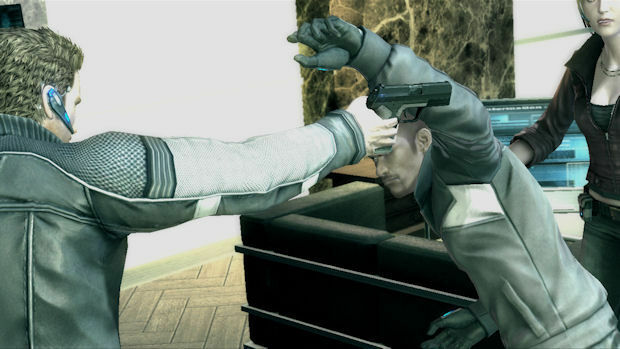 However, if three, two or even one of those enemies is capable of reacting to the player's actions on a human level, the entire game changes. Now it becomes a multiplayer battle with one side gaining an incredible advantage. For a single player attempting to complete this game, there's no benefit to this. At any time, you can become completely outnumbered, slaughtered, and forced to replay considerable tracts of game. If it's one-on-one, things will become tricky, especially if you're trying to fight a boss while an online opponent is also rocket-launching the crap out of you (or possessing enemies with crucial boss-killing weapons and deliberately wasting the ammo in them). In a two-on-one or a three-on-one situation you can just forget it. The game doesn't balance out enemies and allies, either letting the player choose his side or selecting a team at random. This can lead to completely imbalanced battles, and if you find yourself staring solo at three Gamertags all colored in red, you might as well turn off the console. The host player does have one advantage, the ability to incapacitate enemies and turn them into "Mind Slaves." These slaves will fight autonomously for the player, and the host can even leave the protagonist's body and jump into theirs, as well as any surrounding NPCs littered around. While this is a potential way of evening the odds, it rarely works as intended. Enemies typically die before you can possess them, since apparently if you deliver just one bullet over the amount it takes to incapacitate them, they'll be lost forever. Even worse, the prompt to possess an enemy is broken. It's sheer luck as to whether or not the prompt will appear and allow you to turn an enemy into a slave, and you usually have to circle the incapacitated opponent, running around it in the vain hope that the prompt will appear. Sometimes it never does, and oftentimes you'll end up cut to ribbons by enemy fire while trying. You can jump into various machines and creatures, including cybernetic apes and miniature tanks. While this sounds like fun, the controls for these unique characters are awful. The melee attacks of the apes rarely, if ever, connect with anything, and the tank's segmented body usually ends up so confused that you'll be pushing left on the stick to move forward, or forward on the stick to move back. It seems that nobody bothered even trying to make these things control properly, as if the mere gimmick was enough. It absolutely is not enough. The host player can turn off the hacking to avoid being swamped by human opponents, but all you're left with when you do that is an incredibly mediocre shooter. It does just about enough to be functional and nothing else. You can take cover (which can still leave you exposed anyway), shoot with a variety of bog-standard weapons that you've seen in dozens of games already, and attempt to use the game's melee combat system. The one that, of course, doesn't work thanks to the same broken prompt system that ruins the Mind Slave ability. You also gain XP which will unlock a few augmentations for your character, but they seem to have little effect on the game itself. Once you take away the gimmick, MindJack is a dull affair with a story that wouldn't even be compelling enough for a made-for-TV movie. It's all dragged along with the help of some cheesy (in a bad way) dialog and washed out, lifeless, remarkably ugly graphics. To say the voice actors were acting would be a lie, and the repetitive techno music in the background echoes how lacking in heart the rest of the game is. Whether you're the host or a hacker, you have zero reason to care about anything. You get no reward for winning a match, and the host only stands to be severely punished, having to replay up to ten minutes of combat because there aren't any checkpoints. Not only that, but you don't even get the illusion of a game where enemies could be anybody at any time. 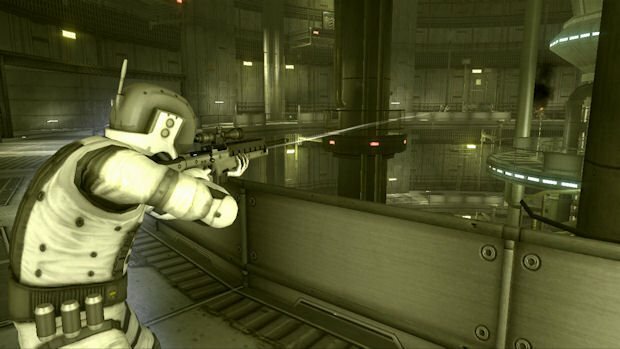 Far from the promise of a Matrix-like experience, MindJack is little more than a staggered series of multiplayer matches with occasional cutscenes. You spend the game walking from one combat area to another, and enemies can't possess anything until the combat area's been triggered. Once the combat has been finished, all players are forced back into their original forms and the host player walks to the next area. The entire game is walk-fight-walk-fight-walk, and I fail to see how anybody could find it even slightly exciting. MindJack definitely gets some credit for taking an original idea and at least making it half work. The transition from single-player to a "hacked" multiplayer is smooth, with no stuttering. In fact, if you don't pay attention to your HUD, you might not initially noticed somebody hacked in. Of course, once you see an enemy glowing bright red, the illusion is shattered once again. Still, it is a laudably fresh concept that has merit, albeit a concept that's been wrapped in a stale, formulaic, generic shooter. The worst part is that MindJack's implementation of the shooter is so imbalanced and guileless that it actually harms the game. If I were forced to play the game online and had to deal with three-on-one matches all the time, this game's score would be significantly worse. 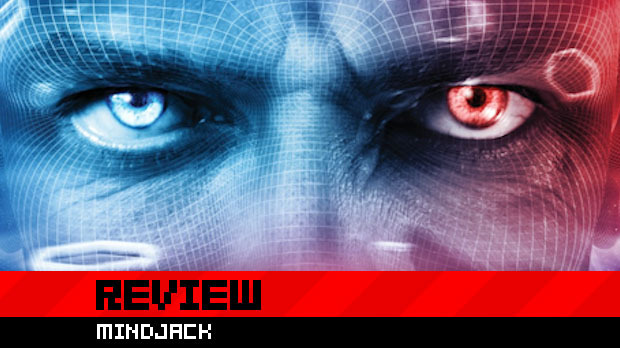 Ironically, MindJack is only scraping by with a mediocre (as opposed to dreadful) score because you can switch off its one and only selling point, leaving you with a shooter that is ugly and boring, but is at least not frustrating and impossible. As soon as a developer comes along that can actually develop well, however, I think this'll be a great little game.